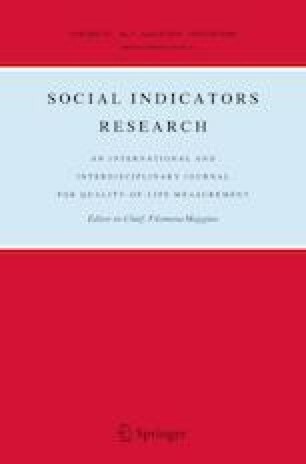 The study examined the effect of urbanization on income inequality for 21 Sub Saharan African countries over the period 1984–2014 using heterogeneous panel estimation techniques. Based on the Pooled Mean Group and Common Correlated Effects Mean Group estimation techniques, the findings of the study do not support the Kuznets hypothesis. The results show that democratic reforms are negative and significantly related to income inequality. On the other hand, the share of agriculture in GDP and foreign direct investment do not have an independent robust effect on income inequality while GDP per capita, trade openness and urbanization have positive effects on income inequality. However, the findings show that institutional quality moderates the effect of urbanization on income inequality in the long-run. Leipziger, D. (2015). Urbanization in Africa: Why nations rely on cities. http://www.brookings.edu/blogs/future-development/posts/2015/06/18-urbanization-africa-leipziger. Accessed 4 Dec 2016. Shaowei, C., & Jinrong, J. (2014). The relationship of financial development, urbanization and urban-rural income gap: An empirical research based on provincial panel data in China. SHS Web of Conferences 6(01009). EDP Sciences. https://doi.org/10.1051/shsconf/20140601009. Sow, M. (2015). Foresight Africa 2016: Urbanization in the African context [Blog post]. Retrieved December 4, 2016 from https://www.brookings.edu/blog/africa-in-focus/2015/12/30/foresightafrica-2016-urbanization-in-the-african-context/. Sy, A. (2014). Jobless growth in Sub-Saharan Africa [Blog post]. Retrieved December 4, 2016 from https://www.brookings.edu/blog/africa-in-focus/2014/01/30/jobless-growth-in-sub-saharan-africa/. UNDP (United Nations Development Programme). (2014). Human development report 2014: Sustaining human progress: Reducing vulnerabilities and building resilience. New York: UNDP. http://esa.un.org/unpd/wup/highlights/wup2014-highlights.pdf. Accessed 4 Dec 2016. Yaojun, Y. (2005). Financial development, urbanization and urban–rural income gap in China——Co-integration analysis and granger causality test. http://en.cnki.com.cn/Article_en/CJFDTOTAL-ZNCG200502000.htm. Accessed 4 Dec 2016.